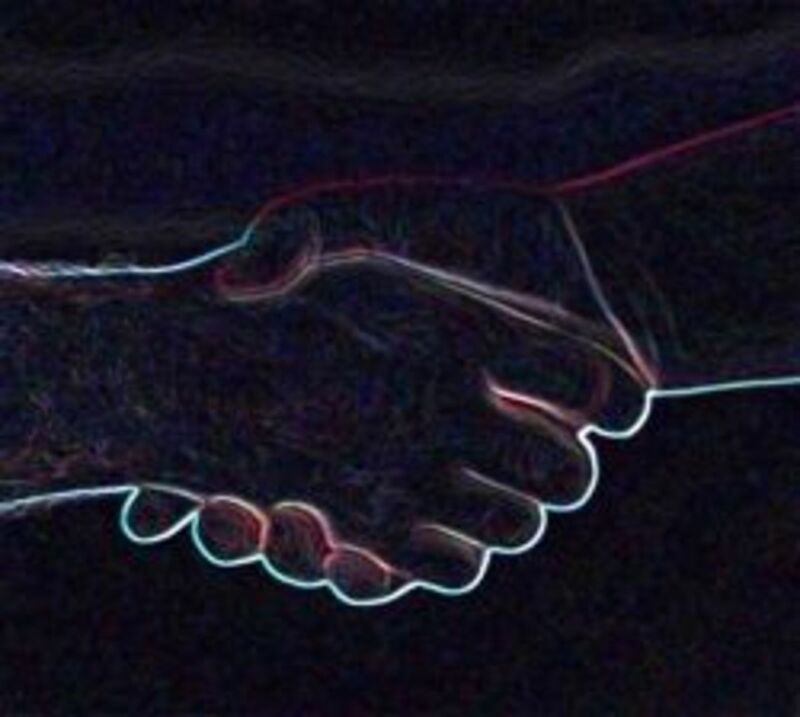 In an often uncaring world it's important that we reach out to each other. You can give to the homeless in an indirect way (and you should if you want to) but giving and caring directly gives them something beyond price - human contact and recognition. Perhaps the most painful part of homelessness for me was the isolation. At times I felt there was no one in the world who saw me as a human being. While I have a hard time with eye contact myself, I saw that no one met my eyes; they turned their heads and hurried along. By giving directly to homeless people you give a gift of recognizing their humanity and improving their sense of dignity and self-esteem. The items listed may not be dramatically life changing but they can serve as an excuse to approach someone who needs your voice, someone who needs to know that someone cares. Most of the gifts listed below are less than $10 each and many are less than a dollar. So for the cost of a fancy coffee you can make a few lives a little better. For your convenience, I've listed an online source for some items below their descriptions in case you don't have time to go out and shop for these small gifts. 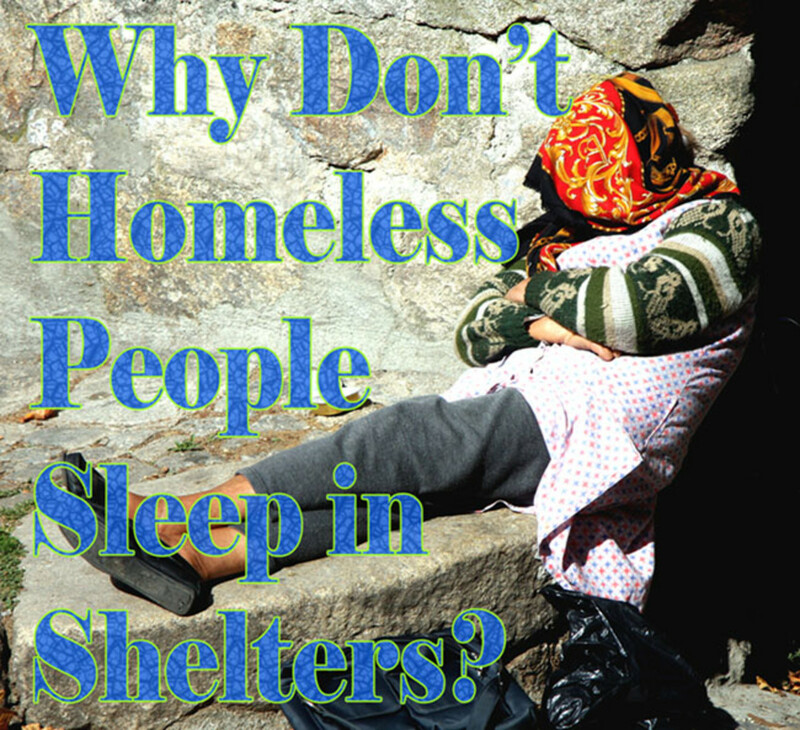 Mylar blankets make great gifts for homeless people whether the weather is warm or cold. Mylar emergency blankets can keep in warmth better than any other available blanket of their size but they can also be turned around and used to keep heat off. Mylar blankets come folded up tight into neat, pocket-sized packets which is why they are perhaps the best blankets to get for people with very little space to store them. Mylar blankets or Mylar sleeping bags make thoughtful gifts. They are often sold near camping equipment in sporting good stores. Emergency BRW Made In U.S.A. Survival Sleeping Bags - Pack of 4 Bags PLUS Four HeatMax 18 Hour Body Warmers. I've found Mylar sleeping bags to be particularly good at trapping heat in. Those little disposable hand warmers can provide warmth and comfort on cold days and nights. Even in warmer climates, homeless people get cold at night. Disposable shoe warmers also make great gifts for homeless people. Shoe warmers are usually found near hand warmers and other types of disposable heat packs. Heat packs like these can usually be found in sporting goods departments and sporting goods stores. They can also often be found in dollar stores. I took the picture of the hand warmer display in a dollar store. 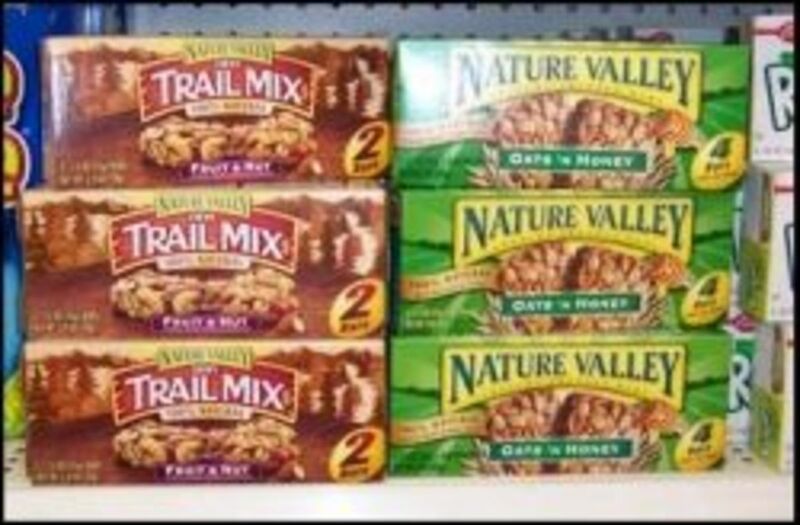 Granola bars or energy bars are packed with calories and nutrients yet they are light and easy to carry, they taste good, and they don't spoil easily. Granola bars make nice little gifts because it's easy to slip a handful of them into your pocket in case you run into someone who is homeless. They are also almost universally appreciated because they won't spoil or make a mess in a homeless person's pocket, backpack, or bag. Unfortunately, many homeless people have problems with their teeth. So it's probably a good idea to also have some individually wrapped snacks that are softer, like soft cookies, little cakes, or even individual cups of apple sauce with plastic spoons taped on top. In the summer, most homeless people can't get out of the heat so gifts like bottled water or Gatorade can help them to avoid heatstroke. If you put the bottles in your freezer overnight, they'll provide even more cooling power. It's really, really hard to stay clean when you don't have a bathroom of your own. 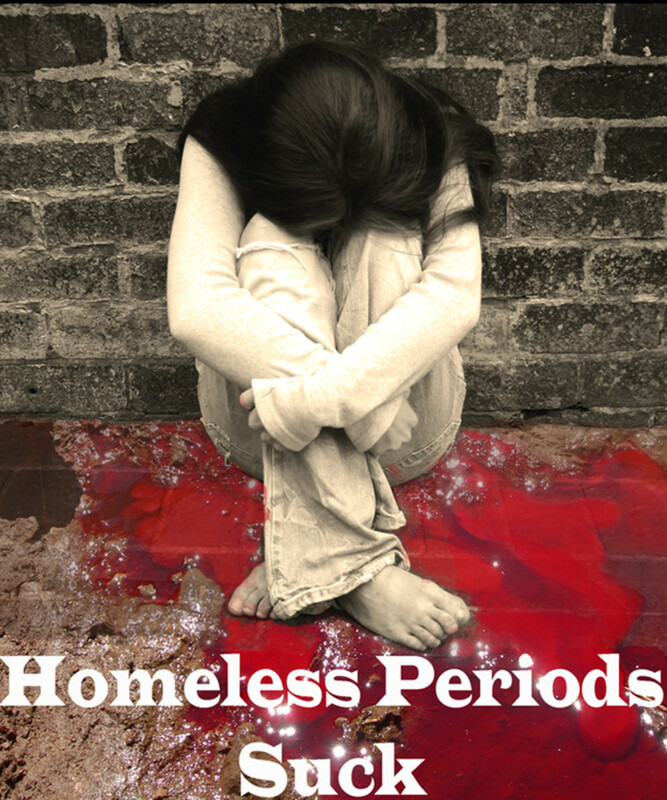 Moist towelettes can help a homeless person feel cleaner when no access to running water is available. I've found that moist towelettes are good for quickly dealing with stains on clothing before they set. Moist towelettes are nice for after meal clean up and just to get the dust off your hands and face whenever you want. A lot of heat can be lost through an uncovered head in cold weather. Hats are probably the single most effective item of clothing to keep a person warmer. 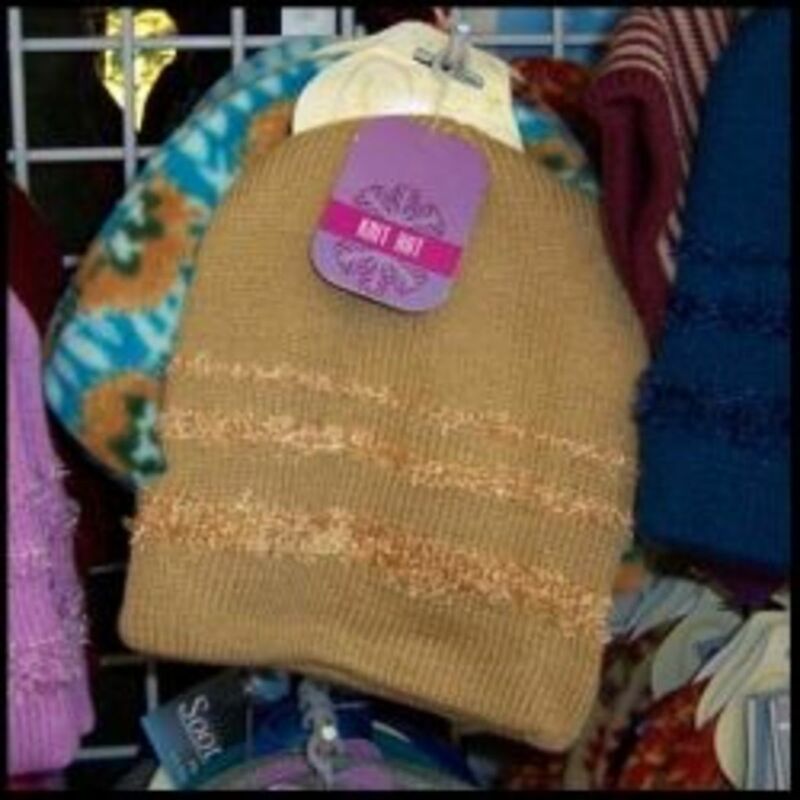 You can buy cheap knit hats at most discount stores such as Family Dollar, Big Lots, and Dollar General. The ones in the photo were at Dollar Tree for just one dollar each. Knit hats make great gifts even during warmer weather because they can also help keep hair cleaner when sleeping outside as well as keeping heads warmer in the cold. Of these small gifts for homeless people, which do you think is best? 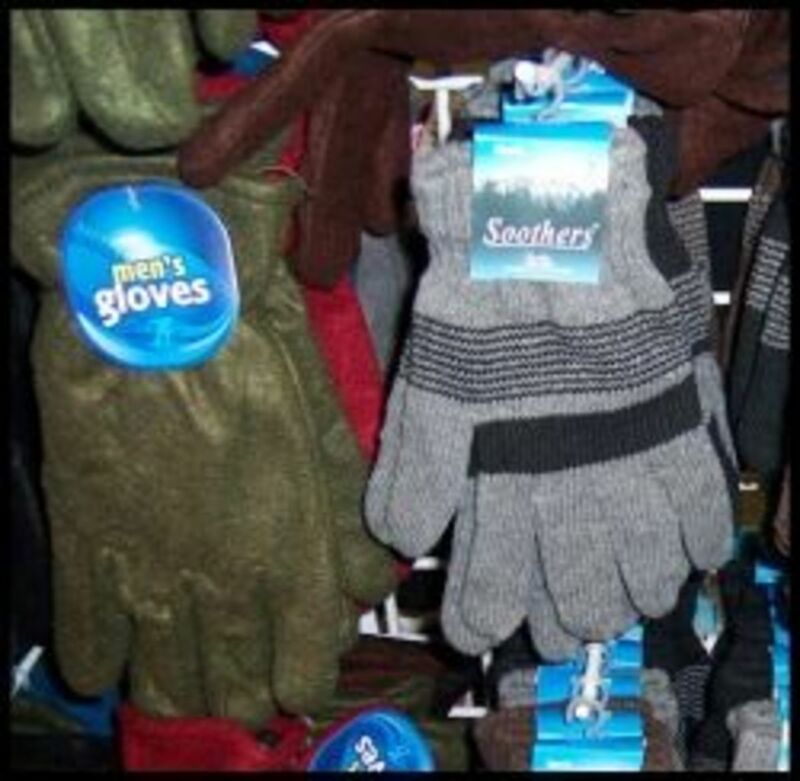 Gloves can keep homeless hands warm in cold weather and at night in warmer weather. You can often find those stretchy, one-size-fits-all gloves at dollar and discount stores for about a dollar in many dollar and discount stores. One size fits most stretchy gloves are a good choice because they, well, fit most. It's hard to keep up with dental hygiene when you are homeless so a toothbrush and a sample-sized tube of toothpaste make another great, compact gift. You can find these items at big box stores like Target and Walmart, in dollar stores, and in drug stores, often in the sample size aisle. These items usually cost under a dollar. A compact basic first aid kit would be welcomed by many homeless people. Combs are one of the easiest small gifts to find and to carry. They are also easy to lose so replacements are often very welcome. They are durable and take up very little space. You can get a big package of combs for just a few dollars at most discount stores. You can also find them in dollar stores and big box stores. If you ever had school pictures as a child, you ought to recognize these. 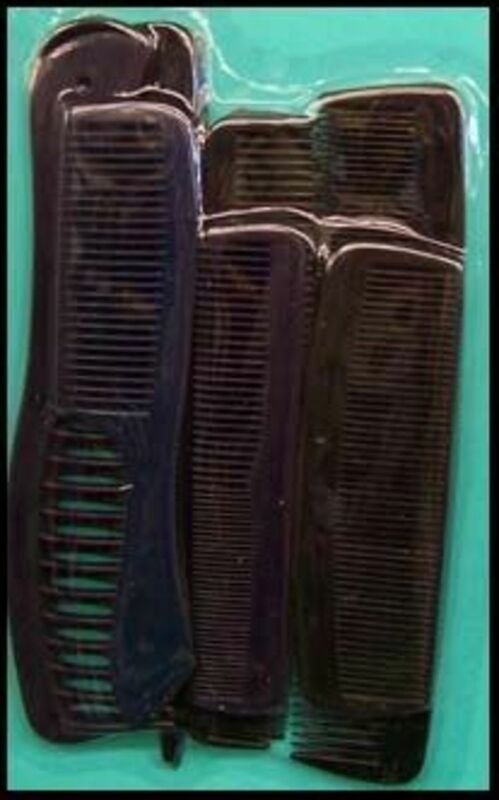 The basic black plastic comb is still the easiest to carry, most compact hair grooming tool. It can be hard to find a drinking fountain every single time you need a drink. A canteen can provide a way to carry a good supply of water around easily. Regular water bottles are good, too, but they are not as easy to carry if one is carrying all of his or her possessions around, too. 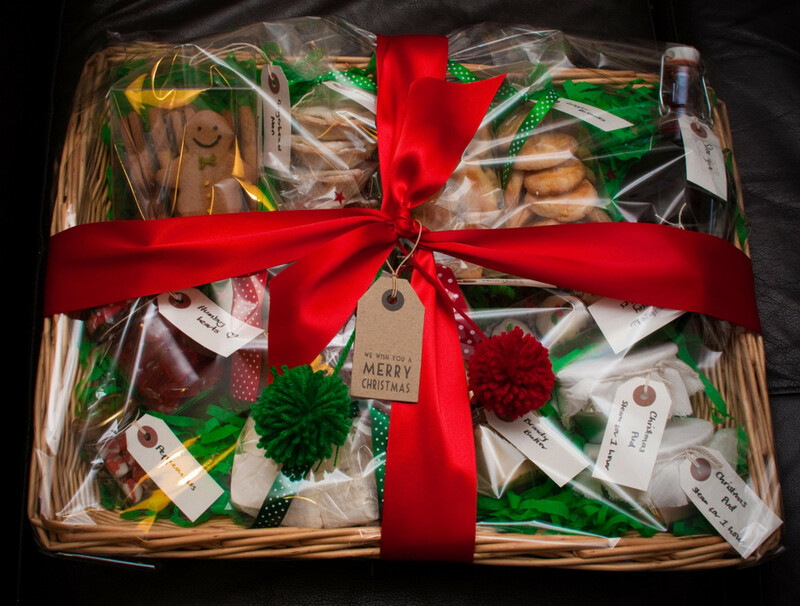 Canteens are harder to find than many of the other items on this page but they make wonderful gifts for homeless people. You can find them online and in military surplus stores. Also, they can sometimes be found in the sporting goods departments of department stores. I like the military or Boy Scout styled canteens that are covered in fabric and have a strong carrying strap. Basic, old-fashioned canteens work very well for people who walk around a lot and have limited access to drinking water. The shoulder strap makes this canteen easy to carry around. Homeless people can usually get access to water but water can get boring sometimes. Drink mixes such as hot cocoa envelopes or fruit flavored drinks also provide calories and sometimes other nutrients. Instant breakfast packets (the ones that don't take milk) are really great because they provide a meal as well as a beverage that is a treat. 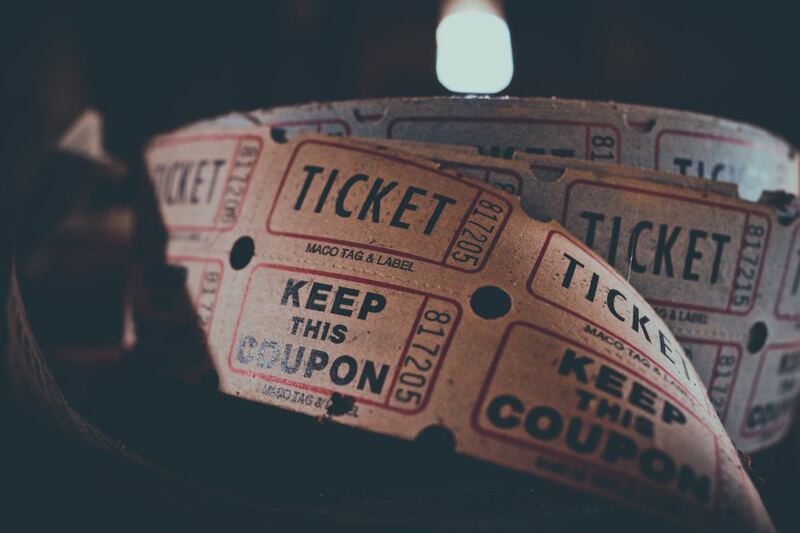 It's easy to carry a few in your purse or pocket in case you run into someone who might like some. 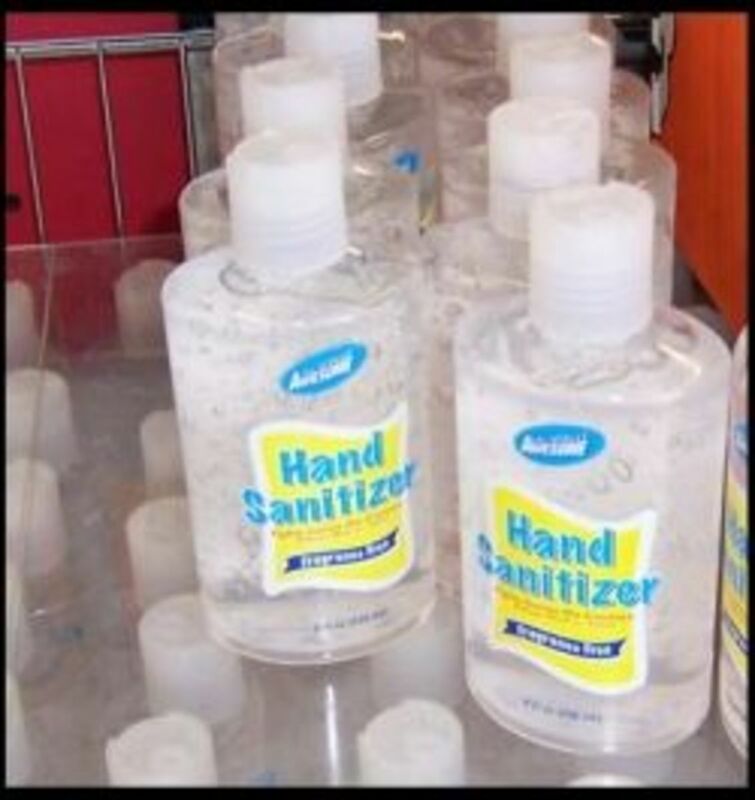 Hand sanitizer, used properly may kill the flu virus and prevent the spread of germs. Purse sized sanitizer gel is another cheap and easy gift to carry around. I also like the individual packets of hand sanitizer or wipes impregnated with hand sanitizer as they won't leak as easily or as much fluid if they do. Hand sanitizer is good to have around when access to running water and soap is not always a given. And then come back here to tell us about it. Drop me a line in the guest book below and I'll link back to your personal account of giving to homeless people. When your resources are limited, a sewing kit can help keep clothing in good repair. Sewing kits make very practical gifts and are both very portable and very inexpensive. I strongly recommend the kind that come in sturdy, reusable cases. This is one of the better travel sewing kits for the price. Other kits have cheap plastic boxes that come apart too easily. This one actually holds up to use for a while. Do You Have a Good Gift Idea for Homeless People? I actually give cash to panhandlers when I have cash on me. I gave up trying to suggest others do the same because some moral individuals felt I needed to get lovingly detailed threats of death or other violence for daring to say people without money are people. I figure if I can influence people to give non-cash things to homeless people, they'll lose those old prejudices by exposure to real people and I won't have to get nasty, scary messages about giving cash to the "undeserving poor." The more "useful" the items I propose, the more people seem to respond positively and the fewer pieces of hate/rage mail I get. I hope your situation turns around soon. Stay safe and don't let the jerks get you down. most of these supplies are very useful. but the one that says "Duuude...I get it....kinda," is Brandon's gift of a full pack of store- bought cigs. we get sympathy on the street and sometimes a glimmer of empathy but we walk daily w/ the knowledge that we will probably never find the words that will make the Homed understand the desperation of The Daily Skritch. the daily routine of just trying to gather the bare minimum of things that let us survive. Last winter i was sleeping in my dead van in 18 degree cold in a place where i could get towed at any time. 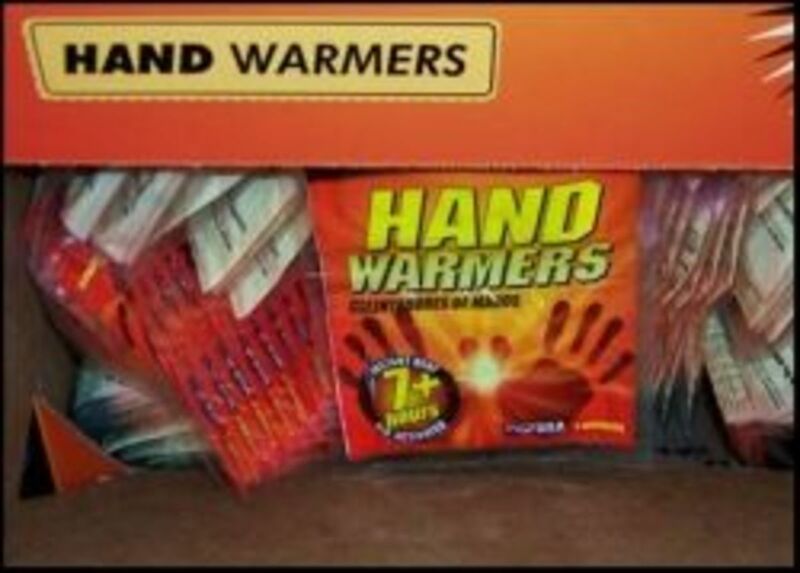 Handwarmers! omg: Handwarmers. at night on the back of my neck or my sternum: i cd Snuggle. I was already warm enuf, but the handwarmers gave me Comfort. one of the sentiments i see most often when reading on this topic is the desire not to give money that will go for drugs or alcohol. that's almost a 'linguistic meme'; we've been saying it for 70 years or more. i say: stop worrying about it. the most exuberant stories at Day's End are the one's about 'the guy in the black truck dropped a 211 on me" or "this guy just walked up and gave me a blunt". Mama Sherrie has regulars that bring her sweet cakes, fried chicken and other goodies. Stop and talk: maybe you can only spare 50 cents and a cig: it's your conversation that will be remembered. it's the eye contact you made. and last winter i adored the hand knitted hats that made me feel that i had a bit of style. Kylyssa: i've been purusing this topic for a while; i've read about the homeless and from the homeless. your's is the first voice that resonates. I"ve been homeless for over a year....a very bizarre story that doesn't involve the standard markers except illness. I was a whistleblower who lost everything and my brother stole my inheritance. every time i get a bit ahead, some Roofed Idiot steals my stuff. ie: i was staying somewhere minimal and the Nit had a meltdown and i had to leave. what i see here in Burien, WA: folks flying signs are actually homeless; shelters are totally sucky and i'd rather sleep in a refrigerator box: ie: give it directly to the folks who need it. if necessary, just watch them for a bit, a week, whatever, and you'll figure out who you are sympatico w/. cigs or choc chip cookies: comfort items that remind us we are Seen. PS: i don't plan to be homeless forever. no one does. I knit and donate hats to the Colorado Coalition for the Homeless. @Kylyssa: I think I'll do half in backpacks and half as "refill" packs, that way I won't duplicate the packs, and I'll have something to give to those who need the backpack. GREAT articles by the way. I have found the information you provided to be very valuable. I am planning to make some kits. In you opinion is the backpack the most important piece? Of all the items. I can get almost all of them for $1 or less, but I am looking at spending about $3-5 on the backpack. I'm planning to spend around $10 each on the bags, maybe $12. Is it worth it to tie up most of my funds in the actual bag, or should I put more items into a disposable bag. @LastStraw: It depends entirely on the shelter. Some shelters will disassemble such a kit and others will not. Since these charities are started by all different types of people and run by people with all different philosophies it's impossible to know without talking to them. I heard about your Squidoo Lens from a video on YouTube about backpack care kits for homeless people. I was inspired and assembled 3 such backpack kits. I need help figuring out who to give these kits to. You've written that people with cardboard signs aren't usually homeless. Are they at least poor enough to need food and personal care items? 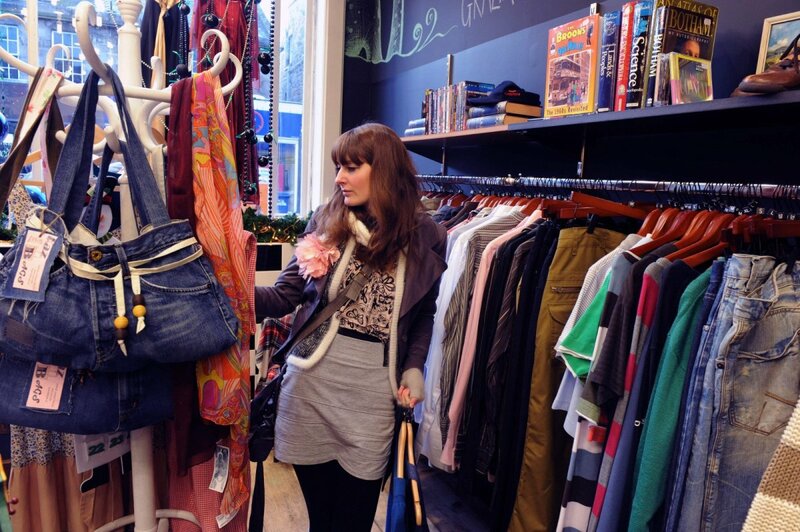 Sometimes people walking down the street have shabby clothes, but they may not be in desperate need. If I assemble these kits and give them to homeless shelters, will it get to the people who need it without being taken apart and just added to their food pantry? Thank you for your experienced advice, Kylyssa. This is a great gift: however, many will frown upon it as it is selective and not remotely a "need". Simply ask a person if they smoke. If they say yes, get them a pack of cigarettes and a lighter. If they say no, ask them if they are thirsty/hungry and hook up some sealed snacks and Gatorade. There are a few homeless people in my town. I buy one gent some food and a 5# bag of dog food for his 3 pitbulls when I can. I give his hand a shake and tell him to take care. I have yet to do something for the other two I know of. Now I'll be sure to do something for them. Where I live there is an epidemic of homeless folks. Unfortunately some of them are scammers, but occasionally I run across someone that is truly in need. My heart tells me who to help and I give them a little bit of cash. I never thought about putting together a care package. These items are great suggestions. I live in Utah and it can get very cold here! 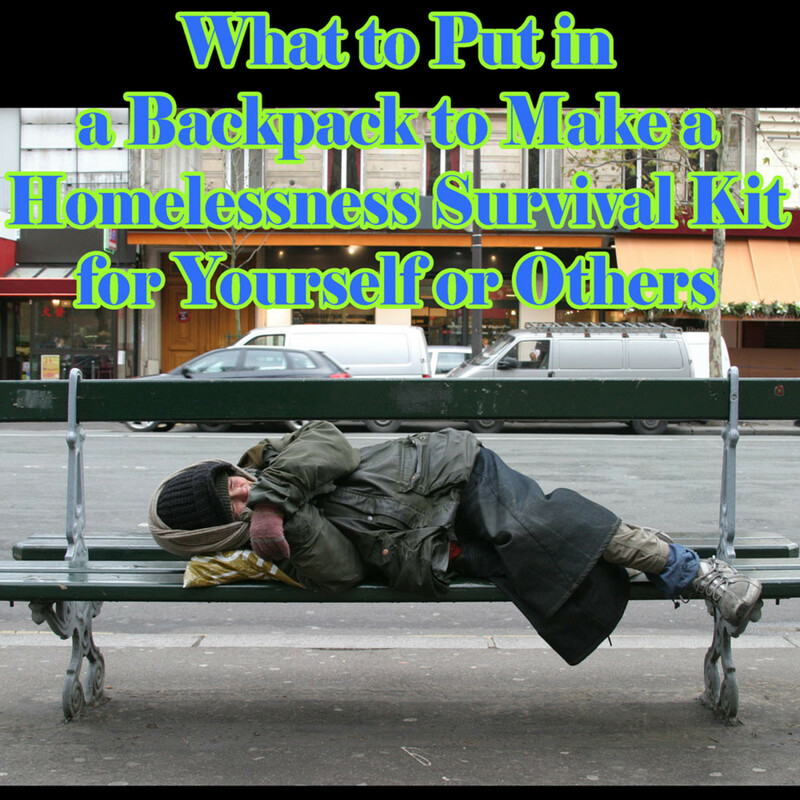 I decided to assemble "Survive the cold" kits which consisted of a pack of hand warmers and snack such as crackers, fruit snacks, some candy, peanuts, and granola bars all inside of a ziploc bag. The cost was about $2 per pack because I bought everything in bulk. We made 200 to give to our local homeless shelter. A little treat to help them beat the chill. It was a success! @anonymous: I would suggest working with local homeless charities such as day shelters, night shelters, or soup kitchens. You can almost guarantee the folks you see standing in line at soup kitchens or homeless shelters are actually homeless. After one interacts with homeless people for a while one tends to develop an "eye" for who is homeless and who is not. So much of it is subconscious that I'd have to think hard about what little signs point to people being homeless. It is a bit difficult to tell much of the time because one of the best ways to stay safe while homeless is to never look homeless. 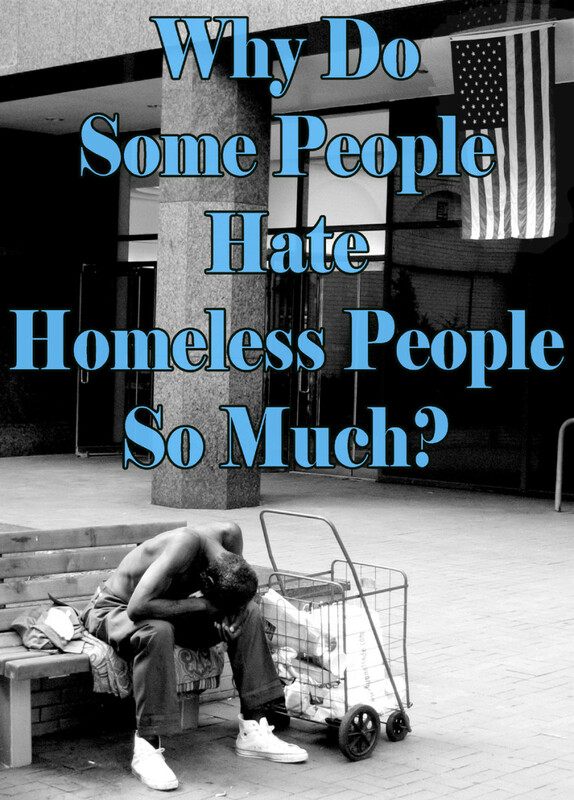 Thanks for this question because it has inspired me to look into how to identify people as possibly homeless aside from obvious things like using soup kitchens and homeless shelters. You can expect an article about it soon, after I've done some analyzing and research. I've been assembling small gift boxes modeled on the care packages I send to my brother in Afghanistan. He doesn't have access to a nearby PX, so I try to load boxes with lots of stuff helpful for someone living in the field (baby wipes, hand sanitizer, breath mint strips, granola bars, pulltab cans of sardines, etc.) Seems the same logic applies equally well to people who don't have homes to go to.One of the articles you linked to states that "most people who are homeless do not panhandle and that most panhandlers are not homeless". How do I find the "real" homeless people to give these gift packages to? We prepare Bags of Grace that are given out to people on street corners and at 'Church Under the Bridge' here in Austin. (BagsOfGrace.org) They contain water and non perishable food items. We add socks, gloves, lip balm, sunscreen, etc. as the season dictates. What an excellent idea. I am reluctant to give money directly to homeless people but these ideas make a lot of sense. I drive around in an un-airconditioned truck all day and in the summer I always bring 8-12 bottles of water that I freeze up the night before. I usually re-use the bottles but I bring a couple new bottles and give those to homeless people when I see them. I usually don't blow through all my drinks on a given day and even if I do, I have enough money to buy more.Also for summer--visors. You can get them for cheap, heck look around your house you might even have a promotional one you got for free somewhere. Great for people who have to be outside all day because they won't make your head hot but they keep the sun off your face. @sybelle: Providing a mailing address for a homeless person is a great idea. I used to do so when I lived alone. Getting a rented mailbox would be an even better idea! What are your thoughts about providing an address for a homeless person? Perhaps rent a mailbox and allow homeless people to use the address when applying for jobs? Am I on the right track here? I am aware that for many homeless people, the question is not about getting a job, but about not being able to work. Still, I think perhaps one or two people might benefit from this idea?Thanks for the post. Very good lens and great cause. It makes a world of difference when you acknowledge someone exists. The ranks of the homeless swelled when the tsunami hit Japan and the same can happen in the current economic tsunami that the US is in. Help as often as you can. Great humanitarian lens you have yourself there! Awesome ,informative lens! Blessed by a Squidoo Angel on 12/21/2010. Have a great day! 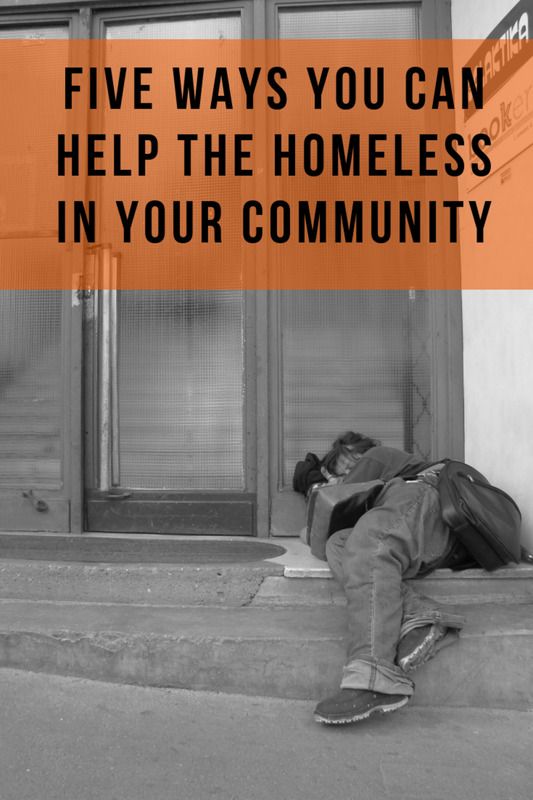 This is very helpful and thought provoking information on helping the homeless. When I help, I always want to know that that the right asistance is getting into the right hands, Great lens! I appreciate your suggestions. It's hard to know quite what to do. It should be a little easier to help now. @groovyfind: That's an awesome idea! A group of us collect old backpacks &amp; fill them with MRE style food that has no expiration date. I saw a toothless woman with a black eye and ripped jeans - I'd like to give her, in addition to these items, a way to protect herself. What could it be though that won't cause more harm than good? Thank you for your insight... Squid Angel Blessed! Excellent lens, full of really great ideas!... Blessed! You have some really great suggestions here. You could even put several of these things in bags and hand those out. I like to donate any and all used clothing to the homelessvery nice lens.